I've been married to my sweet husband for two years today. We've been friends for 17. I could not be happier. He's a great partner, has the patience of a saint, and the understanding and care of one, too. I had some new books come into my life by way of a book swap. Jenna rocked my world! 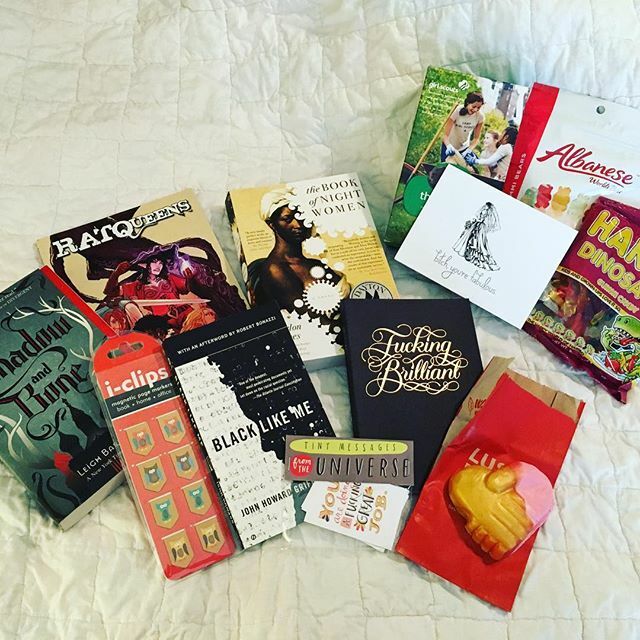 I'm super excited to add The Book of Night Women by Marlon James, Black Like Me by John Howard Griffin, Shadow and Bone by Leigh Bardugo, and Rat Queens Volume 2 to my stacks! Also, those Albanese gummy bears are SO GOOD. On the job front, I had a third interview on Friday, and now we wait. Patience. Patience. Happy Anniversary, and good luck with your job hunt! Thank you!!! My impatience is showing! Happy Anniversary!! I remember when you shared the wedding pics with us and I cannot believe that was two years ago! It's like... no way. Uh-huh. I feel the same way! It feels like forever and no time all at once. Good for her! 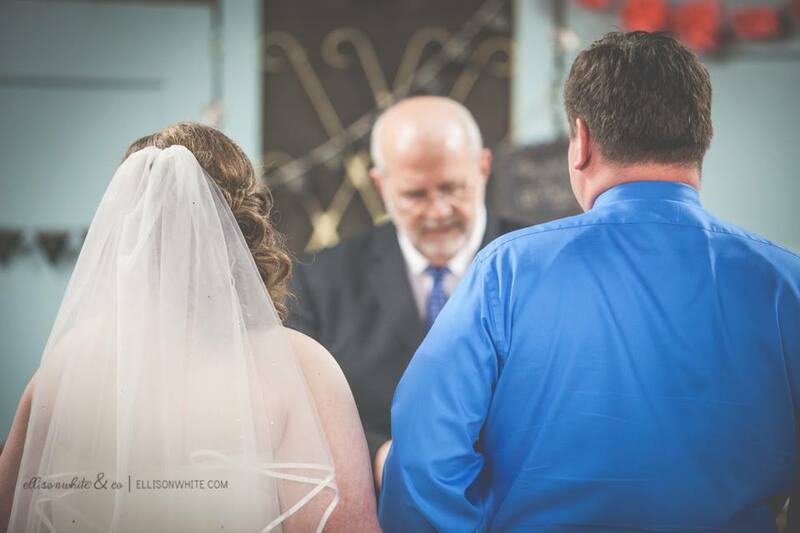 My hair is naturally curly (straightened and recurled here), and it just barely made it to the end of the ceremony! Ha! Thank you, Kay! I'll be honest, I was distracted by the Albanese bag to care much about the books (for shame). I went to school near the Albanese candy factory and I miss it so much! THEY ARE SO GOOD! I really had no idea. I'm glad to be schooled. Happy Anniversary. I hope it is marvelous and very Pratchetty. I hear that Marlon James book is good - can't wait to hear about it! Fingers crossed for you (not because I think you need luck...). Happy Anniversary!! RAT QUEENS is so good! I can't wait for Volume 3! Happy anniversary, and I can't wait to hear your thoughts on Shadow and Bone! Nothing better than being married to your best friend. Happy, happy anniversary to the two of you! Happy anniversary, and all the luck for your job interview! Happy happy anniversary!! Many happy returns of the day! Happy Anniversary!! Also, fingers crossed! Third interview is a good sign! A bit late but still wanted to say Happy Anniversary! May you and your hubby share many more joyful years together. And, hope you hear great news on the job front!